If you have been playing with drone photography for the past several months and are still not satisfied with the way the videos turn out, then you need to start working on your shooting techniques. Set up a few hours every day to train your drone flying and shooting skills, and you should eventually be able to take some stunning drone videos. And to help you during the process, we list below seven tips that can help you improve your drone videos. Rule number one – fly slowly and steadily. So, if you have a habit of flying the drone at maximum speed, then tone it down. When you move the drone slowly, the video it captures will be easier on the eyes. The audience will have more time to see the details of the video and appreciate it. In contrast, a fast-moving video will just flash before the eyes, giving the audience little to no time to appreciate what they saw. Now, even if the video you shoot turns out to be too slow, you can just fasten it slightly and make it more interesting. 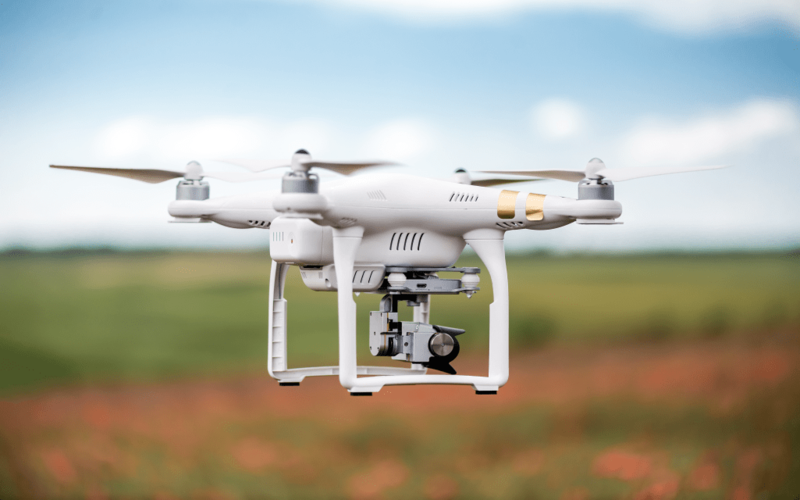 Does the quality of your drone video footage get negatively affected because you face difficulty in managing both the drone flight and camera controls at the same time? If so, then the best option for you is to use the autopilot mode. This mode will allow you to set up a predetermined flight path for the drone. And when you fly the drone, it will follow this path without you having to control its movements. This will essentially give you more time to fiddle with your camera settings, which will enable to take more impact shots of the surface below. Don’t just focus on flying the drone any way you like. Search for shooting techniques, identify those which you think you can do and master them. For example, try learning how to do panning shots in multiple ways. You may have to practice the techniques multiple times to get them right. But all the effort you put in will pay off big time later on. Once you master such shots, try to incorporate them in your videos. You will see that your drone footage has vastly improved in quality. One big benefit of a drone is that you can capture sunlight from virtually any direction. And there will be times during the shoot when sunlight will stream in from the clouds and give off an ethereal and magical look for the landscape. Be sure that you are always ready to capture such moments in your video. This will vastly improve your footage. In addition, you should also try shooting during the ‘golden hour’, or the one hour time period around sunset and sunrise. The landscape and water bodies at those moments generally look stunning. Including such shots is guaranteed to make your video look good. One shot that you should definitely learn to make your drone videos look more interesting is the reveal shot. For example, if you wish to shoot a particular building that stands alone in the middle of a thick forest, then you can start by showing the terrace of the building, and then fly the drone backward at an angle of 30 degrees so that the entire building is revealed in an interesting way. These types of reveal shots create an interesting tension and anticipation in the minds of the viewer since they will be glued to the video for a few seconds to see what is being revealed. Decide how high you want to fly the drone very wisely. Generally, you don’t need to get the drone too high in the skies. This will just make the surface look too vague, and the details of the landscape will be lost. And this is undesirable since what actually makes aerial footage interesting is seeing the landscape details from a bird’s viewpoint. Plus, if you push the drone too far high above the sky, then it is possible that you might start losing control over it, resulting in a jerky footage. Another aspect to consider is the shot length. As far as possible, you should shoot for at least ten seconds longer than you want. So, when at the editing table, you will have a greater freedom to extend a few shots for a couple of seconds in order to create a seamless narrative. Plus, those extra seconds will also allow you to add in some nice transitions between videos. These are all good tips. It takes a lot of practice to make great drone video footage and the learning curve can be steep.